Now TV is hoping to bridge the gap between accurate audience measurement and how people consume its content across multiple platforms. Under a new partnership with WPP-owned research firms CSM Media Research and Kantar Media, now TV is giving advertisers and media agencies a more accurate projection of the aggregate viewership of now TV content and ad campaigns. 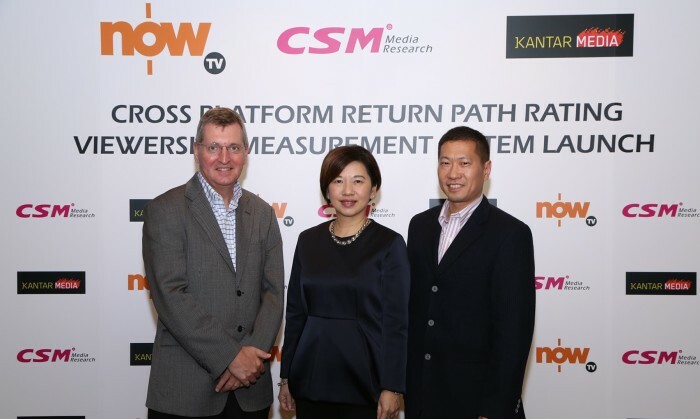 Using Return-Path-Data (RPD) technology for tracking viewership of content on now TV’s television, online and OTT platforms, the Return-Path Rating Service (RPR) claims to be the first cross-platform viewership measurement by using RPD in Hong Kong based on automated system-captured data. RPR Service reports will be available for audience analysis, including the effectiveness of advertising campaigns on now TV, from the first quarter of next year. now TV offers some 180 channels on a broadcast and on-demand viewing basis, in addition to content via now TV’s mobile and tablet apps. A panel of 2,000 people have been selected for across now TV’s 1.2 million-strong subscriber base. Loke Kheng Tham, PCCW’s executive vice president of pay TV, said the RPR service will more accurately reflect the aggregate viewership of now TV content across different platforms – be it in or out-of-home on a broadcast or on-demand basis. “The large sample size of 2,000 along with automated data capturing on a second-by-second basis facilitates more accurate viewership projection, and hence more cost efficient media planning, as well as more sophisticated customer segmentation, for media agencies and advertisers,” she said. Nick Burfitt, global director of Kantar Media Audiences, added that the new service will ensure that advertisers, agencies and content producers gain real and useful insights into the viewing habits of now TV subscribers. Richard De Villa was handling travel trade and market development at the Philippines Embassy - Department of Tourism, where he spe..
HISTORY and Maybank have collaborated in a communications campaign to highlight the bank's latest products and enhanced services t..